This week’s first four UEFA Champions League matches in the knockout stage of the competition looks beauties on paper and one is tipping both sides to score in three of them. If one had to single out the best both-teams-to-score bet on this week’s UEFA Champions League card it would be Tuesday’s game between Manchester United, who has improved out of sight since Ole Gunnar Solskjaer replaced Jose Mourinho, and Paris Saint-Germain, who is 10 points clear at the top of the French Ligue 1 ladder and has a couple of matches in hand on its nearest domestic championship rival, Lille. 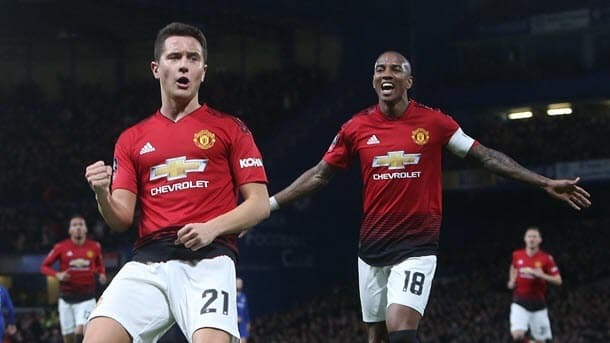 Solskjaer may not be a tactical mastermind and his coaching record prior to succeeding Mourinho may have been mediocre but he has put the smiles back on the faces of Manchester United’s players and, to a large extent, the stars of the squad are doing the rest of the work. Solskjaer and Paul Pogba go a long way back and, by extracting world-class performances out of the France midfielder, the Babyfaced Assassin has transformed Manchester United’s fortunes, at least in the short term. Manchester United is unbeaten in Solskjaer’s 11 games at the helm of the Red Devils and they are playing much more attacking football than previously. with 188Bet. For example, Manchester United has scored in 24 of its 26 English Premier League matches and that is in spite of Mourinho being its manager for more than half of the season. Also, Manchester United’s defence is not what it used to be during its glory days because the Red Devils have kept just one English Premier League clean sheet at home this term. Paris Saint-Germain’s French Ligue 1 defensive data is strong but that is because that division is weak, certainly with regards to depth. However, it is worth noting Paris Saint-Germain has found the back of the net in each of its 22 French Ligue 1 games. Get the best odds in the UEFA Champions League with our selected bookmakers below. with 188Bet. Roma is off the pace in Italian Serie A – sixth place, 25 points behind Juventus – for many reasons, the most obvious of which is the Yellow and Reds are not up to scratch in defence. Roma has not shut out any of the Italian Serie A top seven in its eight league matches versus them and, even as you work your way down the ladder, the clean sheets for the Yellow and Reds do not rack up. At least Roma is good going forward, though, with the Yellow and Reds scoring in 19 of their 23 Italian Serie A games, including 10 out of 11 at home – the odd one out was their 0-2 loss to SPAL. Porto has rustled the onion bag in 18 of its 21 Portuguese Primeira Liga matches and, while Roma is a tougher opponent than the Dragons face week in week out, moderate Italian Serie A sides have found ways to exploit the Yellow and Reds rearguard. Porto scored in each of its six UEFA Champions League Group D games, including two road trebles. with Black Type, which should have lots of thrills and spills. 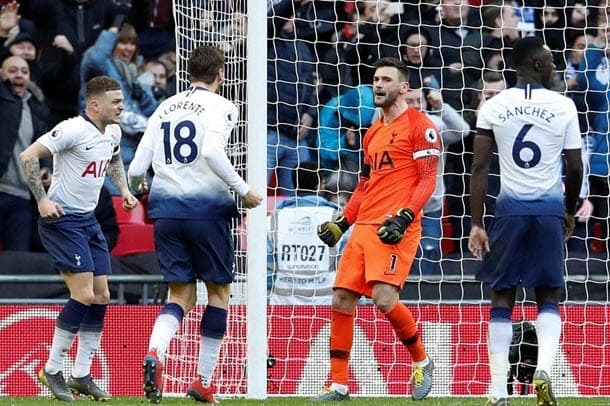 Tottenham has been a regular scorer in the English Premier League – 24 out of 26 is an excellent strike rate – and Spurs have kept just one clean sheet in their 11 divisional matches against fellow top-nine teams. Both sides scored in five of Tottenham’s UEFA Champions League Group B games as well, lending even further support to the view Spurs do not quite have the defence to match their offence. Dortmund is the German Bundesliga’s greatest entertainer, with its 21 league matches averaging a tournament-high 3.67 goals and only three of them going under two and a half goals. Let us know what you think of our tips. Click the button below and Share on Facebook or Twitter and tell us if you agree or disagree with our selections! The post Champions League Clean Sheets to Be Thin on the Ground appeared first on .